Nicola Sturgeon may have parked IndyRef2, but she forgot to park Alex Salmond. Nicola Sturgeon may have parked IndyRef2, but she forgot to park Alex Salmond (Ian Swanson’s article 22/07/17). 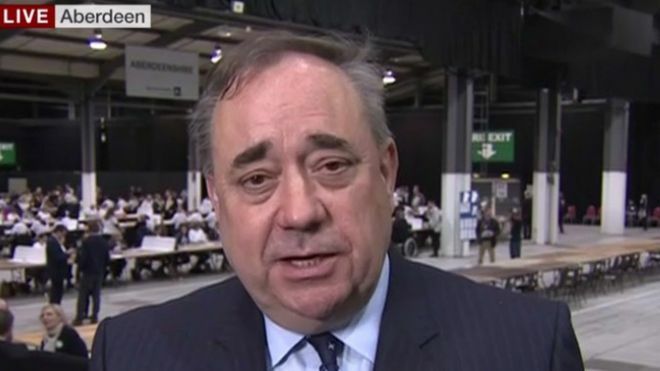 On the 8th of June Nicola Sturgeon was sent a message on IndyRef2, but Mr Salmond also heard it loud and clear when his constituency booted him out of office. Indeed, the kick up the backside he received was so hard he landed lock, stock and barrel, like some kind of human cannonball, in a show in the Edinburgh Festival Fringe. Whilst Mr Salmond may have heard the message, it is not clear that he understood it. The truth is that the people of Scotland don’t want a second divisive referendum, they want politicians of all parties to get on with the day job. In Edinburgh, that means building homes and creating good quality jobs. Alex Salmond, however, is not interested in that. He’s only interested in breaking up the UK. Like Nicola Sturgeon and the SNP MPs, MSPs and Councillors representing Edinburgh, he fervently hopes Brexit will be bad for the UK and help drive Scots off his independence cliff edge. That’s right, the SNP want jobs to be lost and mortgages to go unpaid in the hope that Scots will eventually think “surely breaking up the UK can’t be worse than this?”. Forget that no independent expert thinks we’d be better-off outside the UK. Fear is the only card the SNP have left. The SNP’s “Ministry of Grievance” exaggerates any potential negative Brexit impact at every opportunity. With all this fearmongering from the SNP, it is little wonder Scotland’s long-term economic growth is lagging behind the UK as a whole. I’m glad, however, that Scots are starting to see what nationalism really is – an overpriced and ill-conceived Fringe Show. In pubs and cafes across Scotland, the conversation is moving away from flags and currency and on to how we make our great country work for the many, not the few. So let’s let Salmond be a Fringe curiosity, whilst the rest of us deliver the progressive vision Scotland needs. 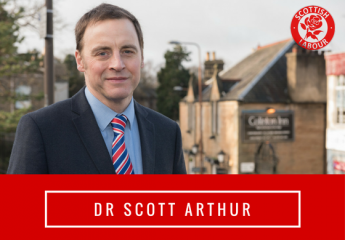 ← Let’s make the Edinburgh City Deal for the many, not the few.